William Morrow Paperbacks, 9780060539061, 448pp. In April 1940, as the Nazis march into Denmark, Sydney Brant, a wealthy girl of the Dundee summer colony, marries a gifted Danish pianist, Laurus Moss. They believe they are well matched, as young lovers do, but Laurus's beloved family is in Copenhagen, hostage to what the fortunes of Hitler's war will bring. By the time the war is over, Laurus's family has played an active role in Denmark's grassroots rescue of virtually all seven thousand of the country's Jews. Meanwhile, in America, Sydney has led a group knitting for the war effort, and had a baby. 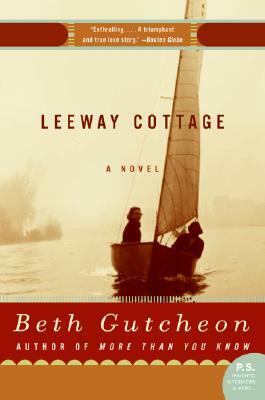 Combining the story of one long American twentieth-century marriage with one of the most stirring stories of World War II, Leeway Cottage is a beautifully written tour de force of a novel.